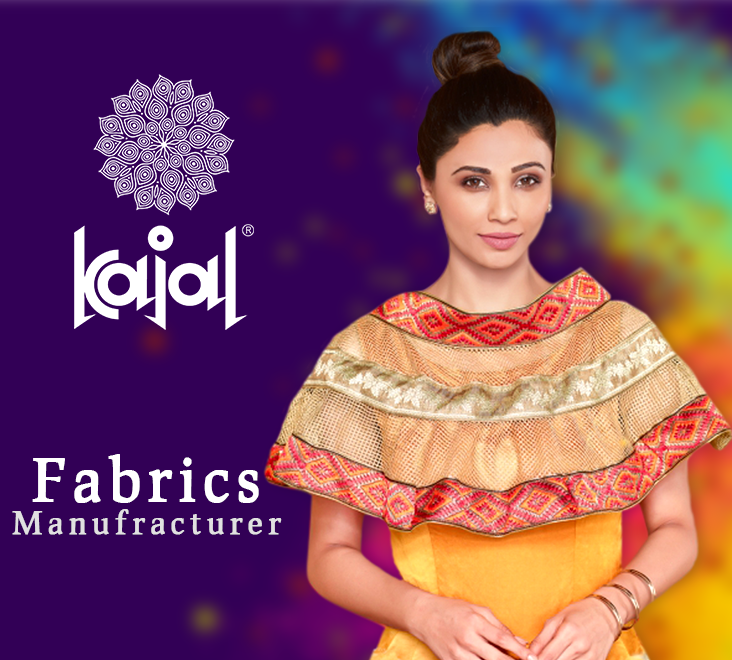 Kajal® Flozen Trendz (i) Limited is established in 1995 and provides Ladies Garments Clothing Manufacturers and fabrics, lace borders at best prices. we have appeared as a leading manufacturer, supplier, distributor, and wholesaler by providing the best quality Ladies Garments and accessories, fabrics and lace borders. 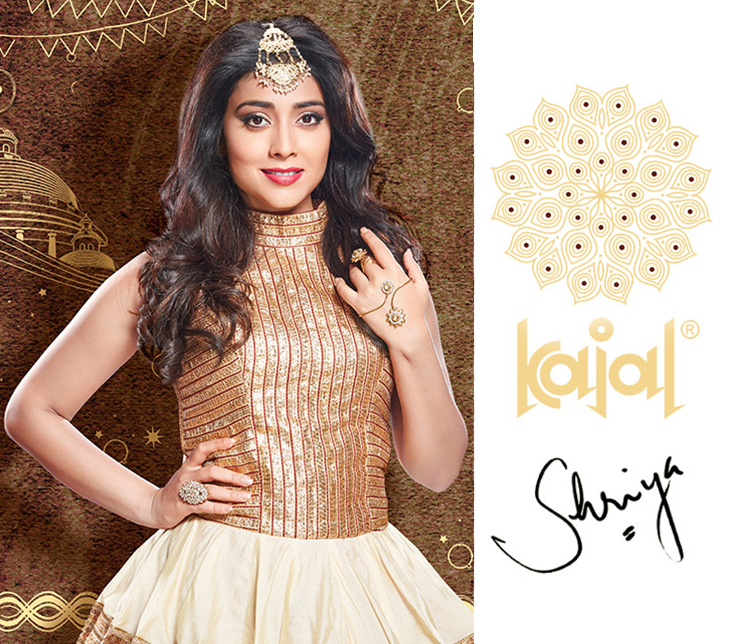 Our product collection includes different kinds of ladies wear, fabrics and lace borders. These products are highly cherished due to their wonderful designs, superb finishing, and great quality. All products are made from first-rate quality raw materials that blended with the latest technology to develop a perfect range. 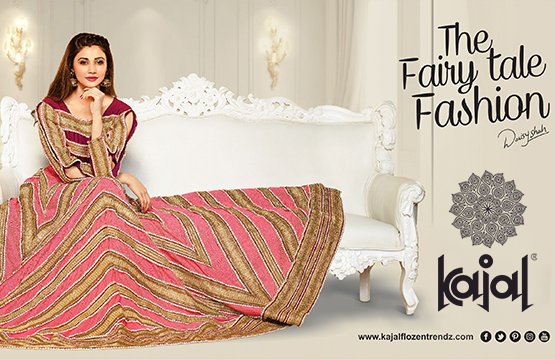 Kajal® Flozen Trendz (i) Limited always has the prime customer offering in every market and is respected to be the best ladies wear and ladies garments and accessories & fabrics manufacturer in Surat, Gujarat. We offer the collection of wide range of Ladies Garments and accessories, fabric designs, and border designs. We design the fabrics, Borders in accordance with latest fashion trends. When it is about the quality of products, we are a step ahead of peers in this division. We are braced by professional expert and world-class base that facilitate all business operations. Besides, we always follow ethical business operations with customer focus approach that protects the long term relationship with our clients. 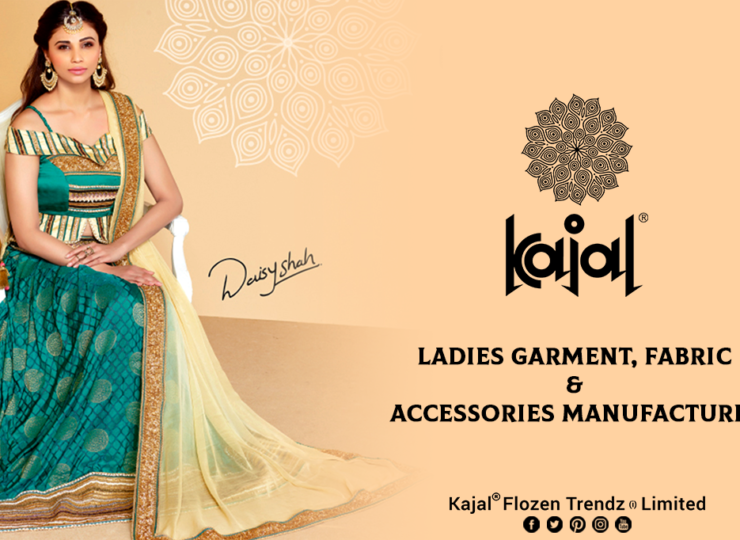 Kajal® Flozen Trendz (i) Limited brings to the most elegant and matchless variety of all over, ladies garments and accessories, embroidery fabrics and accessories ladies garments of various types which are used in clothes for finishing. We provide the different style ladies outfits (sarees, dresses, kurtis, and gowns) and accessories at affordable prices. There are many styles of women dress, which can be parts into different types depending on their cut. There are more styles of ladies dress, from the casual wear that can be worn every day, and the formal dress that is normally worn only on special events. Our QC team is skilled and knows every detail of field, which helps in the great quality testing process. Color, shrink & tear resistance, finishing, width, length are some parameters on which women clothes, fabric and lace quality is evaluated. We also ensure delivery time and lead after sales service. As a result, we are able to gain an advantage in the market. 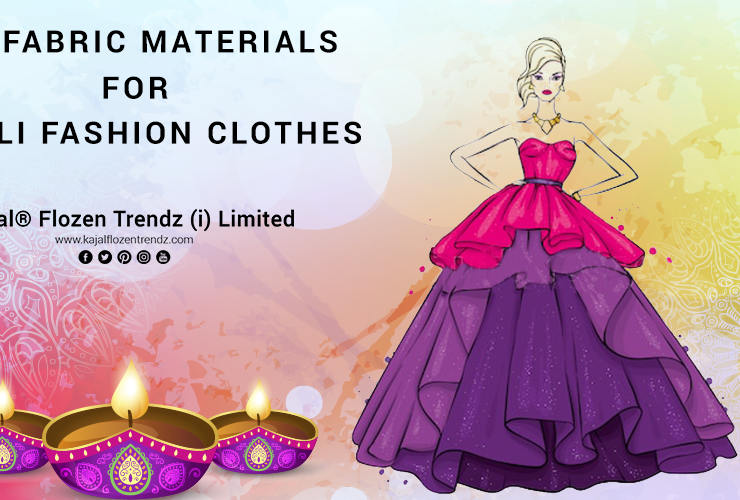 Ladies garments (Sarees, Dresses, Gowns, Kurtis) & Accessories, Fabrics, fancy borders and other patchwork materials are key items for designer sarees and fancy dresses. We do supply wholesale in rolls and retail both and produce a custom-made design for wholesale buyers. We provide all types of ladies wear, fabrics and laces that are available in the market and able to recognize every type of laces, borders, fabrics and distinguish them. We manufacture kind of fabrics like cotton fabric, chiffon fabric, silk fabric, velvet fabric, net fabric, in Surat, Gujarat, India. We are offering huge range of all type of fabrics. We provide quality fabrics to precious consumers at the reasonable price. These fabrics are very much in demand both in national and international market. 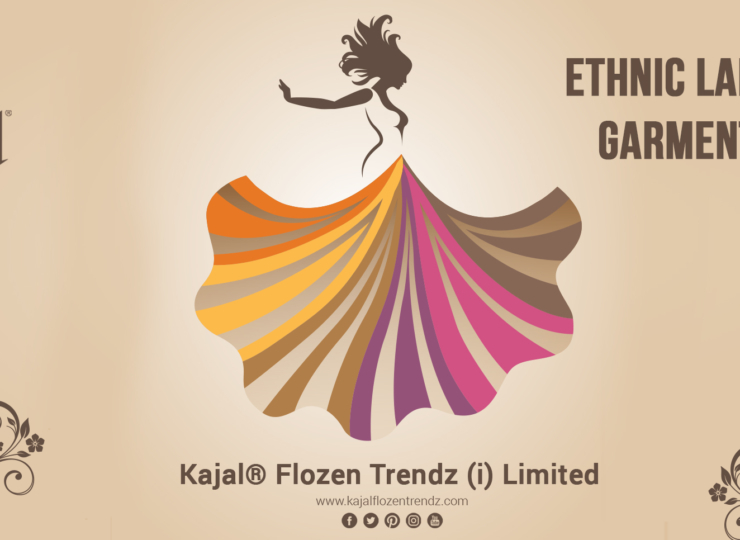 Kajal® Flozen Trendz (i) Limited has achieved absolute customer satisfaction via providing best ladies garment & fabrics. Our skill, great manufacturing facility and dedicated staff, all together have help us in gaining credibility. To follow international quality standards, we utilize premium range basic materials in product manufacturing of our range. Also, have sophisticated production, warehouse facilities & skilled workforce to greet the demands of customers. We are the Manufacturer of a large variety of products which include designer all over fabrics & ladies garments. There are also similar women wearing beautiful products such as garment & accessories to compare from before you make your choice. 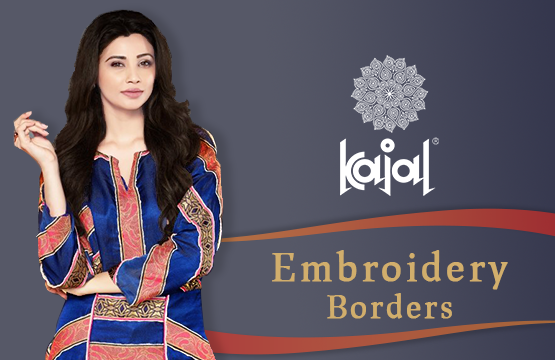 Choose high quality allover embroidery fabrics from Kajal® Flozen Trendz (i) Limited. 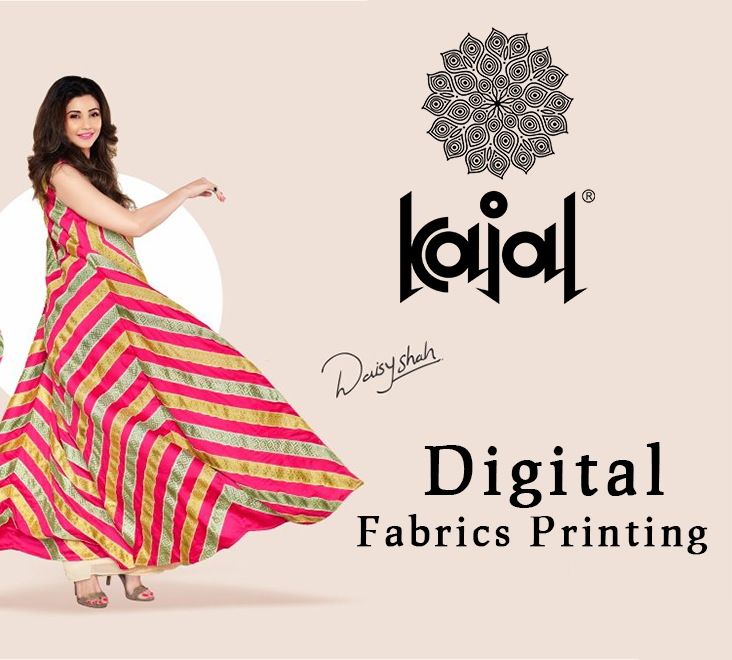 We are manufacturer and supplier of digital printed fabrics. We have more variation of digital print designs and unlimited variety of colors at affordable prices. Cotton is a fiber which comes from the cotton plant’s seedpod and is used to create many fabric types. The fiber is void in the center and, down the microscope, it resembles as twisted ribbon. The most common weaves in cotton are the twill and plain weave. Silk is a fine lustrous fiber collected mainly of fibroin and build by insect larvae to make cocoons, especially the elastic, strong, fibrous secretion of silkworms utilize to make fabric and thread. Fabric is made from this fiber. Velvet is a woven tufted fabric. In velvet the cut threads are distributed evenly, with a dense pile, which gives it a soft feel. Velvet can be build from either natural fibers or synthetic one. Chiffon is a lightweight woven fabric with mesh similar weave that gives transparent appearance. The ‘Chiffon’ word is a French origin meaning cloth. It is made from silk, cotton or synthetic fibers like rayon, polyester and nylon. Chiffon is commonly used to weave Dresses, Sarees, and Scarves. In Net yarns are looped, knotted or fused at their intersections, result in a fabric with spaces open between the yarns. Net fabric has many uses, and it come in different varieties. We design Handwork Laces with assiduous care. 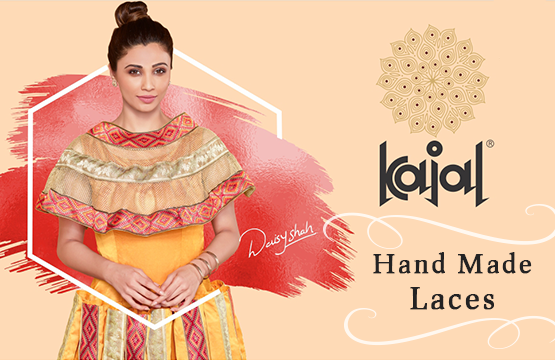 We are reputed Manufacturers of Handwork Laces in Surat. We have beautiful designs each one is made with careful manner. Beautiful cut-work lace is hand embroidered with silk threads and zari threads. Floral design cut-work, peacock design cut-work, and other kinds of designs are made on fancy borders with embroidery of pearls, mirror work, and stones. We are offering a broad range of Braided Lace, pattern Braided Lace, Designer Braided Lace etc. Braiding lace Available in vibrant colour combination and made from the top-quality fabric. We are providing the range of velvet lace to our clients. Velvet laces are available in many designs and sizes as per customer need. Being a leading company in fancy borders industry, we are offering a top-quality range of Velvet Lace. With modern fashion trends, we are offering the top-quality collection of Crochet Lace. Crochet lace serves a fine decor for women clothing and kids wear. It is also used in hats, handbags and for house decor in towels, pillows. With highly experienced and qualified professionals, we are offering a huge range of Border Fancy Lace. Lace is designed using best quality raw material & advanced technology. Needle lace is a type of laces made using a needle & thread to stitch hundreds of stitches to shape the lace. In the purest form, only materials and equipment used are needle, thread & scissors. In order to design above lace border material with the great level of accuracy, we developed an infrastructural base that includes many units like production, quality checking, warehousing, and packaging. With advanced machines makes us expert in design laces as per requirements of clients. We are backed by a team of proficient professionals who have rich domain acquaintance and experience. Also, the laces are specifically examined on various parameters by quality controllers.